Want to see me talk about MMOs? 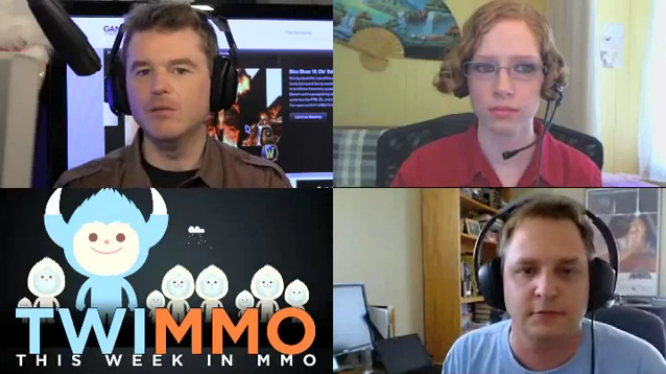 I’m on Episode 49 of This Week in MMO on Gamebreaker.tv. If you haven’t heard of it before, the Gamebreaker network is hosted by Gary Gannon (one of the founders of GAX Online) and TWIMMO is their weekly MMO news show. While I’ve done guest spots on a couple of podcasts, they were all audio only. Doing a video show was new, exciting, and a bit scary for me. There’s a big difference between being able to talk and not worry about people seeing your reactions or fidgets, than being on camera. Plus this was the first time I’d done a show with a live chat room. I ended up having a really good time. It’s always surprising to me how fast an hour goes when recording a show.